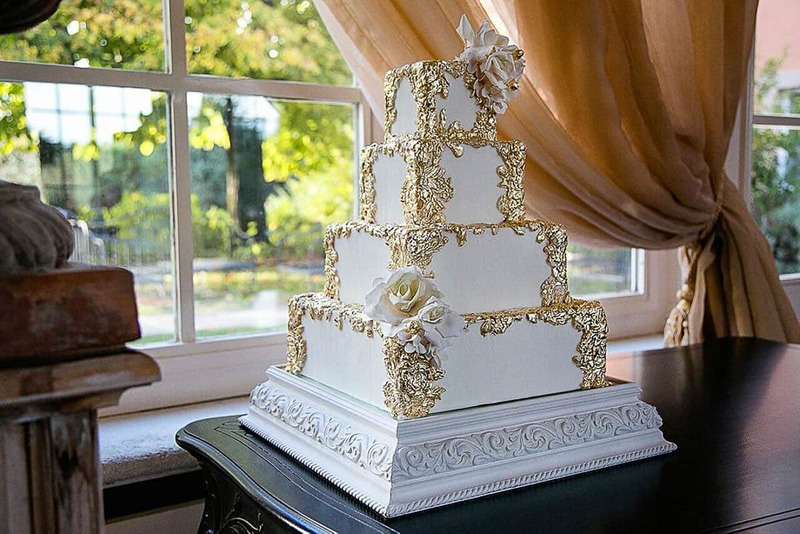 Elegant squared 4 tiered Cake with Gold bas relief technique created by Melanie Secciani of Tuscan Wedding Cakes in Florence, Italy. This beautiful unique wedding cake is mounted on a white, heavy custom made cake stand with floral stucco work and a mirror base. 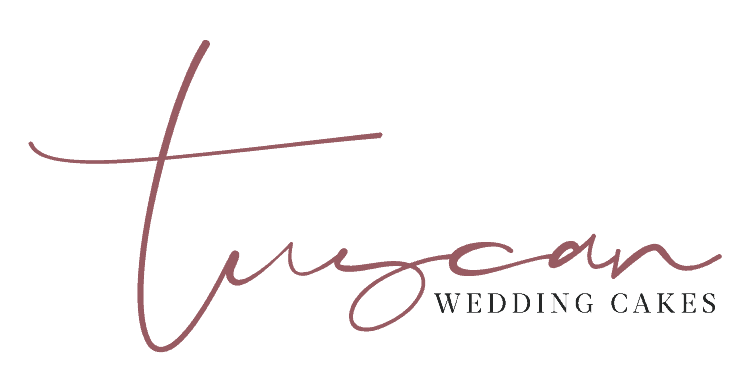 The floral work ties in with the gold bas relief throughout the cake which is broken up by hand made white sugar roses with gold elements. 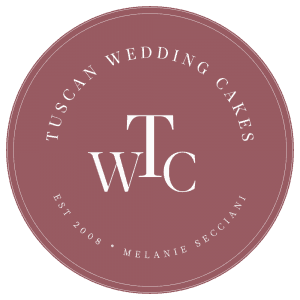 Tuscan Wedding Cakes, Italy’s premiere wedding cake designer, creates spectacular designs for destination weddings and events in Florence, Tuscany, Siena, and throughout Italy.